Manchester United revive interest in World Cup finalist? Perisic back on United radar? Manchester United have reportedly renewed their interest in signing Ivan Perisic after learning that Inter would be prepared to part ways with the winger. Ex-United boss Jose Mourinho had been desperate to sign Perisic in the summer of 2017 but a deal did not materialise with the club's hierarchy reluctant to match Inter's £48m price tag. Thereafter, the Mancunian giants are said to have made another approach last summer but the move came to no avail with the attacker's valuation rising further after his World Cup exploits with Croatia. Despite this, Gazzetta dello Sport claims that United could return for the 29-year-old in the near future with Inter signalling their intent to sanction the sale of the former Wolfsburg star. The San Siro outfit are currently looking into a possible move for PSV Eindhoven's Steven Bergwijn and it is reported that the Dutchman's arrival could coincide with Perisic's departure. 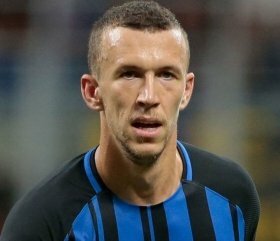 Perisic has not managed the same impact as in the previous campaign for Inter Milan and he has directly contributed to just five goals when compared to 20 last time around.